Cupids Wish are a hugely loved & sought after UK wedding band available to hire in London and Greater London. 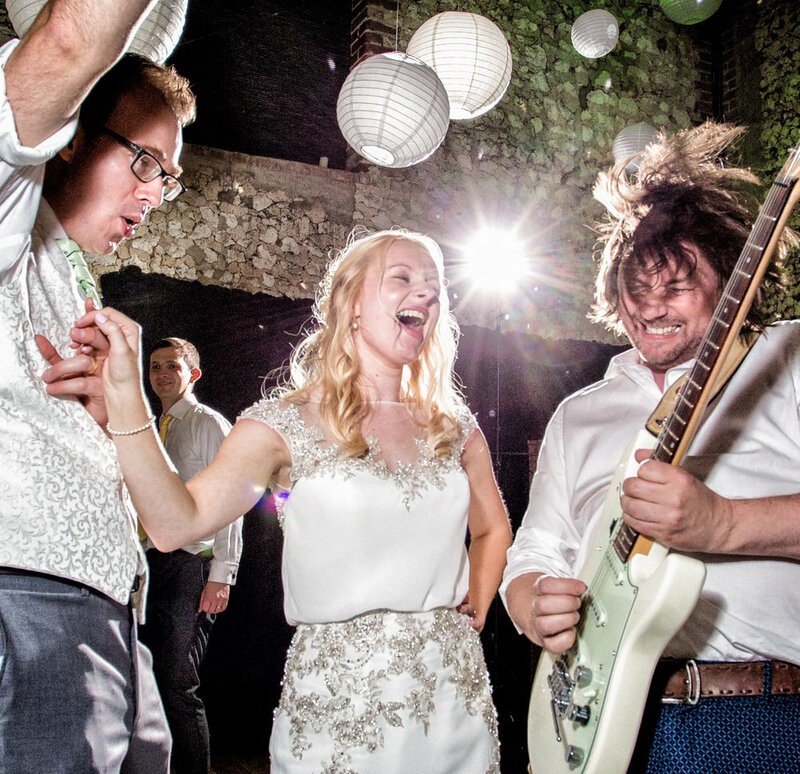 "You really are the best wedding band we could have wished for! Thank you so much for being part of our day! You made it truly special and very personal. Everyone was commenting on how amazing you were!" 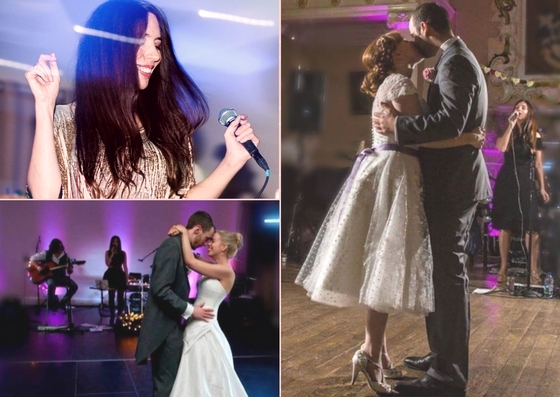 "We just wanted to say we were absolutely blown away with you on our wedding night and want to say a massive thank you for making our night sooooo special. It was just how I dreamt it would be.... perfect! Wish we could do it all over again!!" Cupids Wish never fail to fill up the dance floor with pop, rock, indie, Motown, 80’s, R&B, oldies, modern covers & more! We had the enormous pleasure of playing for Ali, Tom and all their favourite people on their magical day! They married in the tower and later partied at the London Hilton. 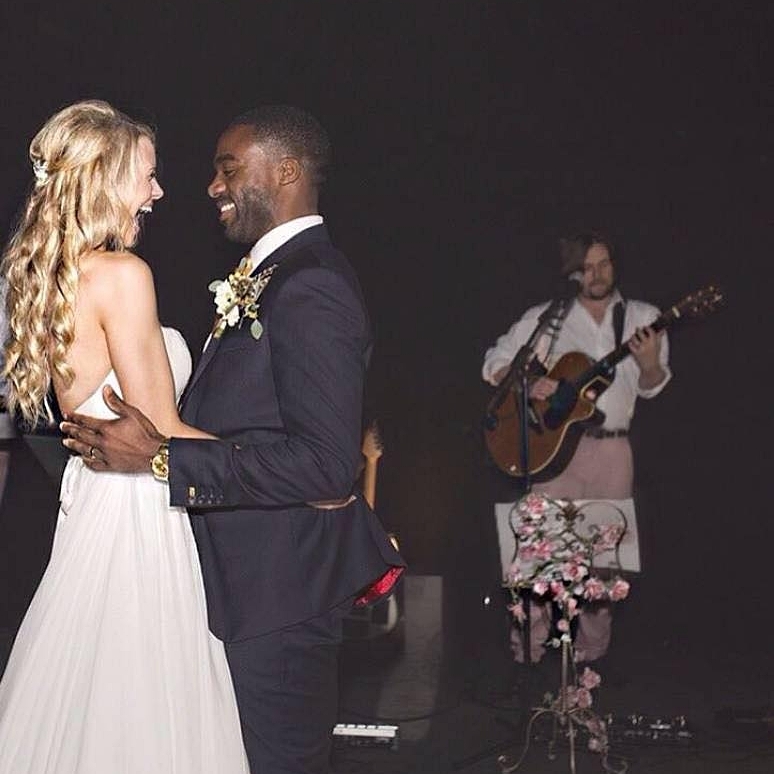 We were honoured to be there to provide the music for this awesome couple! Photo Credit - Gomes Photography. Please visit our full website to see our song list, watch us on the One Show, see our guitar hero in action and much much more! We've had the honour of playing for hundreds of couples all over the UK since we formed in 2008 and we would love to play for you too! Get in touch to see if we're still available to play for you on your special day! "We were recommended Cupids Wish by our friend who's a wedding photographer. She's seen most of the wedding bands and told us they were the best she'd come across, so we took a chance even though we were going to have a bigger band. 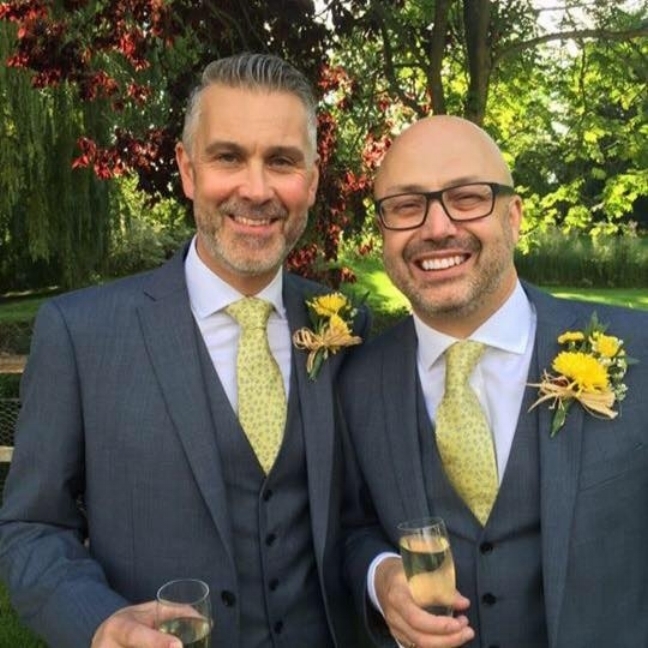 We're so glad we did, they totally made our day and two of our friends and their partners have since booked them for their weddings too." We would love you to visit our full website to get to know us better! Say hello, and if you'd like us to play for you, please let us know the special date and your lovely wedding venue. Please enter an email or phone number, and we'll get back in touch as soon as we can. Thank you for getting in touch – we'll get back to you really soon! Would you like to see and hear more of our band Cupids Wish? Please check out our full website and get to know us better!